The Pirates pitching last season carried the team to 94 wins, the most in over 20 seasons. The pitching staff accounted for the third-best ERA in the majors a year ago at 3.26. They also had the second-most saves with 55, which means they won a lot of close games. All of this was accomplished with a first-year full-time closer, a half-season of phenom Gerrit Cole, and no contribution from Jameson Taillon at all. Based on all of that information, there is no reason to think the Pittsburgh pitching staff won’t be one of the best in the league again, if everyone can stay healthy. 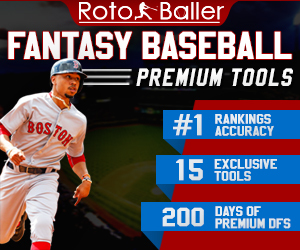 Looking to draft a pitcher from the Pirates on your fantasy team this year? You will find here some helpful information, analysis and predictions for the upcoming season. Below is a list of the top seven starting pitchers on the Buccos roster at present. 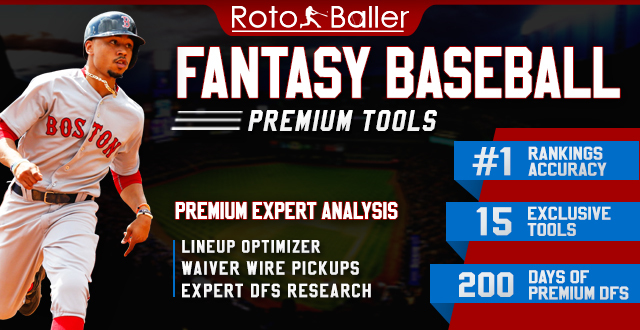 Liriano had a huge comeback year last season, and fantasy owners are hoping he can continue his newly found success again this season. He was not the Opening Day pitcher or No. 1 starter last year, but his numbers were those of an ace. If A.J. 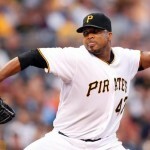 Burnett chooses to retire, Liriano would be the first guy in the rotation. Liriano could be under a lot of pressure if he is the ace, as he would be tasked with mentoring the young and upcoming future aces of the staff more heavily in Burnett's absence. Nevertheless, I expect Francisco to have another solid year. He should get at least 15 wins and have an ERA no higher than 3.50. Playing in the National League and specifically the NL Central will also play to his advantage. 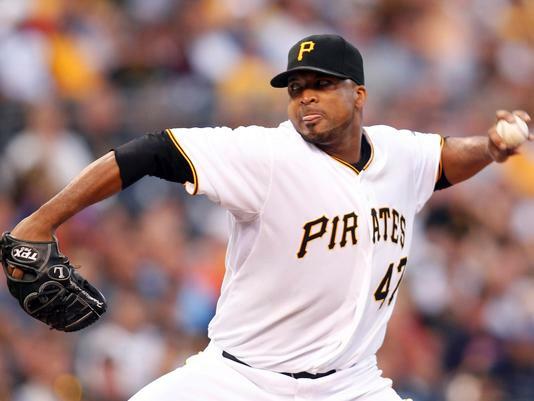 You should start looking to take Liriano around the eighth round in classic ten-team leagues. He has not put together back-to-back good seasons in over five years. Even though I am predicting him to break this pattern, based on the numbers, he tends to follow up a strong season with a weak one, and that's why I wouldn't reach for him too early. Cole had a solid start to his major league career after being called up last June. He started 19 games, but if he had been on the roster from Opening Day, he likely would have won 18 games, based on projections. Cole’s expectations will continue to be very high, but that comes with being drafted first overall. He didn’t have huge strikeout totals in his first taste of the majors, only striking out seven batters for every nine innings pitched, but his walk rate (only two walks per nine innings) was strong. If he can continue to limit the walks, Cole will be a stud for fantasy owners this upcoming season. We are working with a small sample size, which can make it difficult to make predictions. That said, Cole’s numbers in his two postseason starts were better than his regular-season averages. I believe that Cole will be a great value for fantasy owners, and his upside is through the roof. I would start to look at taking Cole in the sixth round of a ten-team draft. It will be hard to find someone who will give you as much value in that round as Cole will, and he could potentially top 20 wins for the Buccos next season. Though that could be a reach, it is more than likely that he will end up with 12-15 wins this season. With a pitcher’s park for home games and a solid defense behind him, the sky is the limit for Gerrit Cole. As you can see, Morton's numbers from last season don’t blow you away. However, the Pirates front office must have seen something from him that they like, asn they offered him a three-year, $21 million contract extension in December. Morton had a nice comeback season after being injured for most of 2012, and he hopes to show the Pirates organization and its fans that he deserved the extension he received. I don’t think Morton will ever be that top-of-the-rotation guy, but he can definitely be a solid middle-of-the-rotation starter, and that is what everyone is expecting in 2014. He won’t get a ton of strikeouts, as he is more of a contact pitcher who relies on his defense. Morton has cut down on the number of walks throughout his career, and that will be a key for him again this year. His biggest challenge will be finding a way to get lefties out, which has always been a struggle for him. Last season, lefties hit .312 against him, while righties hit just .223. Charlie is capable of earning double-digit wins for the first time since 2011 if he can stay healthy. If you need a pitcher as the draft is dwindling down, I would take him with one of your last picks. 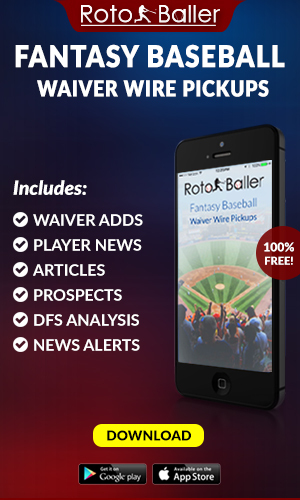 I doubt Morton will be on a lot of people’s radars this season, so I would also consider picking him up as a free agent if you are in need of another arm. A healthy Wandy Rodriguez is all the Pirates want this season. When he was healthy last year, he was a solid, middle-of-the-rotation guy, and I expect the same from him this season. He is a bit on the older side (34), so the odds of him staying healthy all season are slim, but he certainly hopes he can avoid any serious, long-term time on the shelf. If he can do that, I can see Wandy getting double-digit wins while sporting a decent ERA below 4.00. 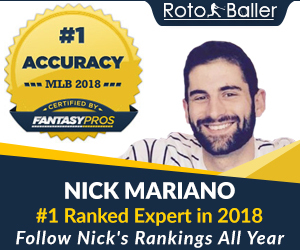 Wandy is another Pirates pitcher who you don’t want to waste a draft pick on this season in standard leagues, but if he gets off to a hot start and things are looking good, you should definitely add him. I can see him being a Bronson Arroyo type, where the numbers aren’t going to knock your socks off, but he is a solid pitcher on a good team that will get wins. Jeff Locke is a wildcard heading into the season for both the Pirates and potential fantasy owners. Which Jeff Locke will we see? The first-half Jeff Locke, who had everyone talking and made the All Star team, or the Jeff Locke who had a 6.12 ERA after the All Star break? I played against Locke in high school growing up in New Hampshire, and no one was happier and less surprised by his first-half success than I was (other than his family, closest friends and the Pirates organization of course). Jeff has always had a problem limiting his walks, though, and that will be a huge factor for him again in the upcoming season. Taking a look at his numbers before and after the break, another key was contact. He gave up 70 hits in only 57.1 innings pitched after the break, compared to 76 hits in 109 innings before it. Locke is never going to have ridiculous strikeout rates at this level, although on occasion he can rack them up. He just needs to limit the walks and make more quality pitches. Getting ahead in the count works to his advantage (as it does for every pitcher), but it will be even more important for Locke if he wants to be successful again in 2014. At this point in time, Locke is not worth drafting in traditional leagues. Let’s see how he does in Spring Training and take it from there. I do think Locke can help fantasy teams this year again, but only if we see a consistently good Jeff Locke. Volquez is another wildcard heading into the season. His numbers from last year are scary, but they did get a little bit better once he became a member of the Dodgers, so there is some silver lining. Even though he was winless in five starts with LA, his ERA dropped from 6.08 with the Padres to 4.18 in LA. He gives the Pirates some rotation depth, which will definitely be helpful if Burnett retires. Not very long ago, the Pirates brought in a struggling, used-to-be-good Dominican pitcher, hoping they could turn his career around. That pitcher was Liriano, and the Pirates are hoping they can have similar success with their newest reclamation project, Volquez. Volquez should not be drafted in fantasy leagues, and he should not take up a roster spot until he shows signs of improvement, which I believe he will. I think that being with Liriano and the staff that helped make Liriano good again will only benefit Edinson. The question with Jameson isn’t if he will be called up this year but when. Although his numbers from the minors last season don’t jump out at you, I am sure they will improve this season. The Pirates don’t want to rush the youngster and call him up before he is ready, so it is hard to guess when he will get the call. He will no doubt start the season in Indianapolis at AAA. 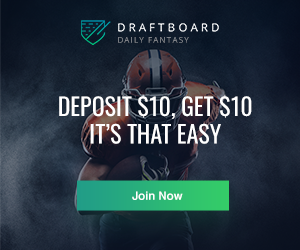 You don’t want to waste a valuable draft pick by taking him in your fantasy draft this season because again, you don’t know when he will get called up. I would add him to your watchlist and keep close tabs on the situation. Once you start hearing rumors on when he will get called up, you can scoop him up from the free agents and stash him until he makes his debut. Who knows when A.J. will make a decision on his future? Burnett should have had a few more wins last season, but if he does come back, look for him to have another great year. If Burnett does pitch again and extend his career, I would look to take him around the seventh round or so.